3-D is in the midst of a renaissance, with Hollywood banking on the trend and consumer electronics bringing the format into the home. The second installment of Packaged Goods looks at works that have experimented with the 3-D format in creative ways. Ah, 3-D: The technology that turns critics into shortsighted snobs and defenders into dreck-merchants. Don’t look for me to attack the process here; regarding the destiny of 3-D I have no insight and frankly, nothing invested. However the movies evolve, I’ll still go to them. I love them too much to give up. As a fan of silent films, I could hardly draw the line at something as pointless as depth. What I will say about Packaged Goods, part 2 is that Packaged Goods, part 1 is better, partly due to the limitations of 3-D, though not necessarily the limitations we see on-screen. Three-dimensionality brings with it certain baggage that I believe handicapped Fera’s programming. While all the pieces were filmed in 3-D, some were filmed via the traditional process, meaning—and this is a definite first for me—we were given two sets of glasses: the current, shades-like pair you get at any googleplex, plus a pair of old-school red-and blues. This effectively split the program into two halves, and they do not balance well. The first half includes some predictably slick productions. Fera wisely opens with The Foundling (2010), the program’s only real narrative: a lush-looking, live-action short about a unicorn-horned infant who grows up in a travelling circus. The Foundling lacks drama, but its opening sequence, following the infant’s mother as she first enters the circus grounds, is transformative. The feeling of depth is palpable: the woman seems both more real and more kinetic than her surroundings, which seem to scroll by as she walks, as though it were all a modern videogame introduction. But, being a circus filmed in 3-D, we’re soon reduced to knives and juggling balls thrown at our heads. Aside from the projectiles, The Foundling could have been a 2-D film (a problem shared by several of Fera’s selections), and moreover, it could have been silent. Another standout is “A Day In The Life,” (2011) an extended commercial spot for Audi. 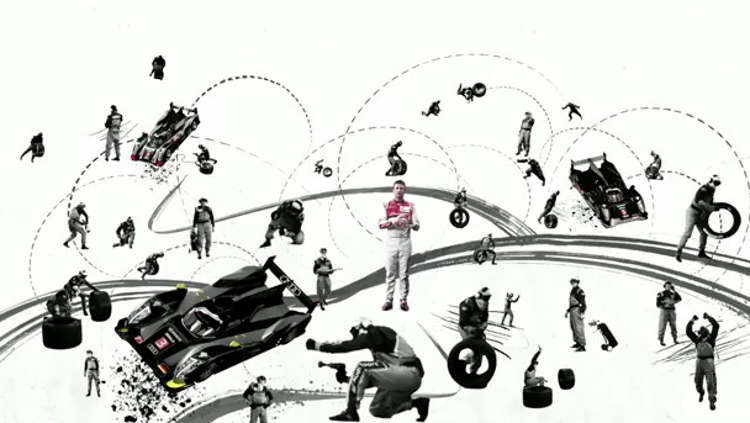 Only two minutes, 30 seconds, it feels longer in a good way, using 3-D graphics to immerse you in the experience of driving a race car through the hell that is Le Mans. We see the components of the car as if on a schematic, but the components do not simply ‘jump out at us’—instead, the schematic itself seems to have depth, and that depth is used to better explain how the car is constructed and the driver, imperiled. The effect was almost holographic. No gimmicks here. As if to defy such inspiration, we have Unbeleafable (2011)—an obnoxious mess of a film that is also, regrettably, the program’s longest. 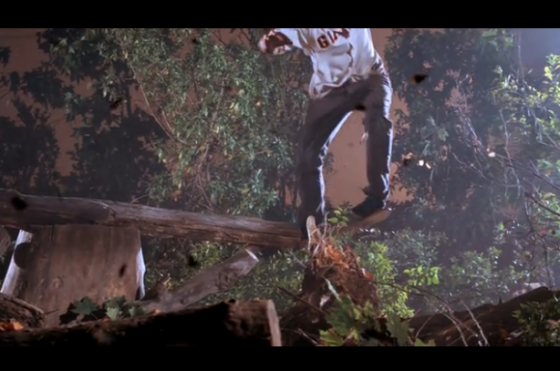 Unbeleafable stars a group of happy-go-lucky skateboarders who venture into the woods to chainsaw several healthy trees to the ground, build ramps, and do unremarkable tricks on them in slow-motion. 3-D leaves cascade all the while. I thought the pain was over after seven minutes or so, but then came the credits—waves of them, due to the time, money, and machinery required to make this thing—and at the same time, outtakes. Outtakes! Were Unbeleafable more entertaining, I’d have assumed it satirical. 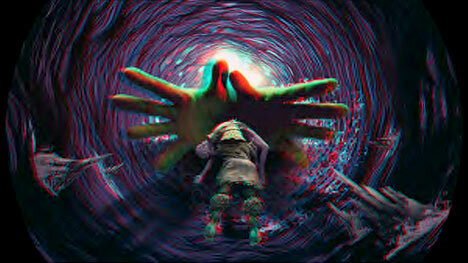 The bulk of the old-school 3-D entries were music videos, several produced by Pitchfork. I didn’t enjoy them, except for Deerhunter’s “Primitive 3-D” (2011), which embraced the limitations of the paper glasses and took visual cues, it seems, from Night of the Living Dead. Deeper than the video itself is its suggestion of ‘retro 3-D’—not something I’d expect people to pine for just yet. Then again, everything old can be new, all at once, in the YouTube era. Too many music videos in a row is tiresome, and Pitchfork’s work takes up too much of Packaged Goods’ second half—a problem Fera couldn’t really avoid, since asking the audience to switch back and forth between sets of glasses would have been aggravating. Worse, the rest of Pitchfork’s entries aren’t that sharp; the 3-D's a pointless add-on. Better (perhaps only because it is different), is “Wanderlust,” (2008) a lengthy Björk video that seems inspired by the art of Maurice Sendak. Again the 3-D adds little here. You’ll like it or you won’t. Packaged Goods, part 2 seems to sum up the best and worst of 3-D. I’m willing to give Fera the benefit of the doubt and suggest that she knows it. There’s some shallow work here: material undeserving of the spotlight and receiving it only because of 3-D content, which is a fair criticism of immense blockbusters just as much as of measly music videos. There are the clunky glasses, and the options they eliminate. There are also hints of what could be. I argue that the best of all shorts in Packaged Goods, part 2 is “Wimbledon 3D” (2011)—an brief ad for Sony, featuring some up-close shots of a tennis ball. Like Unbeleafable, “Wimbledon 3D” has a lot of slow-mo, but the results are different. Unbeleafable uses the effect for self-congratulation, while “Wimbledon,” by suspending the ball in ‘mid-air’—really, a faux-middle ground between screen and viewer—succeeds in transferring the viewer’s sense of self to the ball. And since the ball is about to be struck, we tense up. A lot. I thought it was a tremendous moment. And yes: it could only happen in 3-D. The second installment of Packaged Goods screens Thursday, July 21, 2011, at Toronto’s TIFF Bell Lightbox. In attendance will be director Arev Manoukian of Spy Films, who will discuss the 3-D filmmaking process and how his short film, Nuit Blanche, became a global 3-D spot.